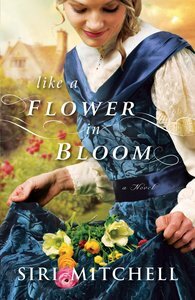 About "Like a Flower in Bloom"
Customer Reviews For "Like a Flower in Bloom"
Miss Charlotte Withersby is following the family tradition by being an acclaimed botanist, although she does wish she could get published under her own name rather than her father's name. But life changes when her uncle suggests it's time she married and her father agrees. She protests, but the unexpected arrival of Mr Edward Trimble, one of her father's correspondents, seals the deal. Charlotte will enter local society in search of a husband, and Mr Trimble will take over her duties. Charlotte agrees only because she believes her father will soon find Mr Trimble lacking, but her plans soon go awry. Charlotte is one of those people with academic intelligence, but not a lot of understanding of the subtleties of human nature. This makes for interesting reading, as Like a Flower in Bloom is written entirely in first person from Charlotte's point of view, yet the underlying subtext made me, as the reader, suspect things which Charlotte had no idea about (and I was right). That's exceptional writing. Overall, I really enjoyed Like a Flower in Bloom. Recommended for fans of historical fiction. Thanks to Bethany House and NetGalley for providing a free ebook for review.